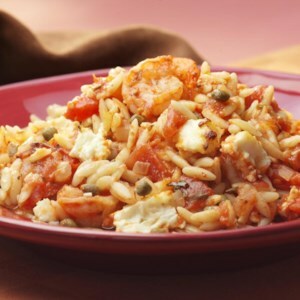 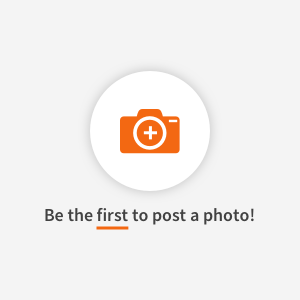 Find healthy, delicious orzo recipes, from the food and nutrition experts at EatingWell. 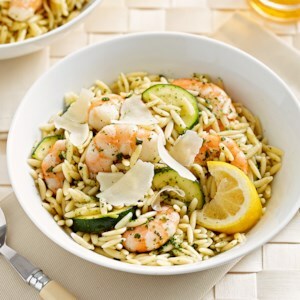 The orzo in this recipe has a delightfully creamy sauce--made with blended avocado, lime juice and a hint of ancho chile pepper. 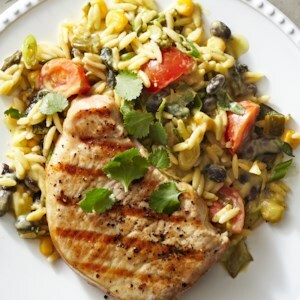 Paired with simple grilled pork chops, this dinner will please both family and friends. 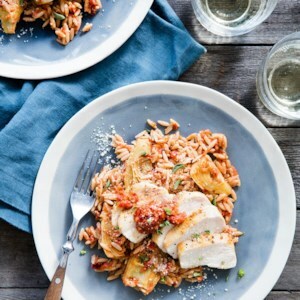 This dish is bursting with flavor thanks to the long, low-temperature cooking. 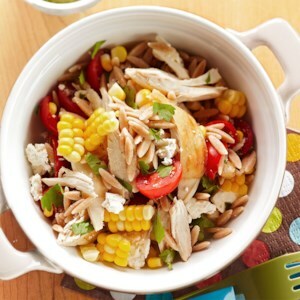 Simply combine all ingredients in a slow cooker and all your dinner work is done for you! 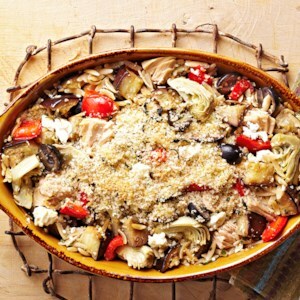 Tuna casserole is a timeless comfort-food recipe; this one incorporates eggplant, artichoke hearts, oregano, olives and feta cheese for a Greek flair. 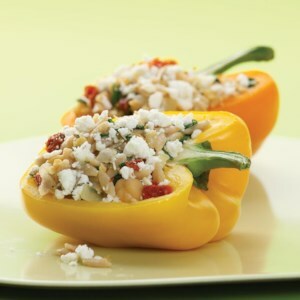 We steam brightly colored bell peppers in the microwave to save time and then stuff them with orzo, spinach and feta. 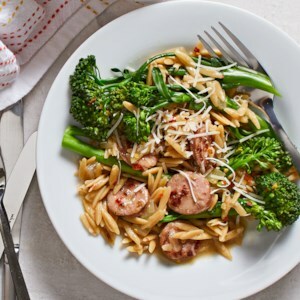 This basic recipe will work with almost any filling--try substituting different types of cheese, herbs or beans. 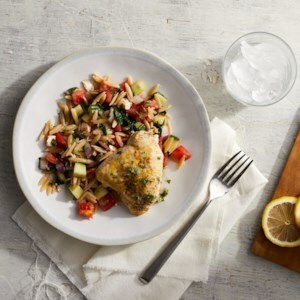 Serve with whole-wheat pita bread and cucumber salad. 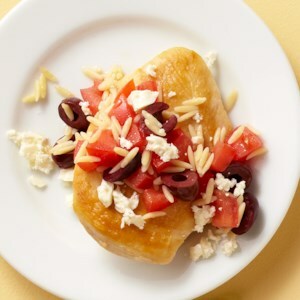 Quintessential Greek flavors--feta, lemon and dill--combine perfectly in this hearty salad. 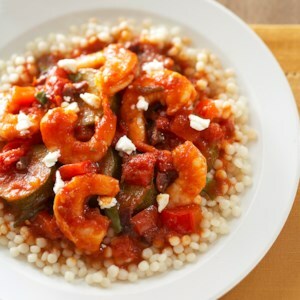 To complete the Mediterranean mood, try pairing it with a Greek Retsina or a Portuguese Vinho Verde. 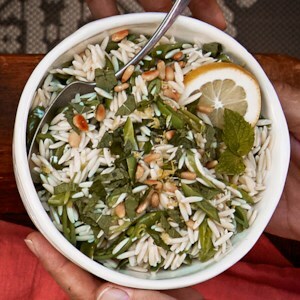 Orzo is a small, rice-shaped pasta, made bright and savory here with fresh mint and chicken broth. 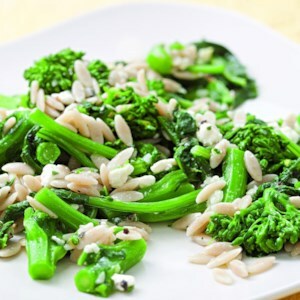 Lemon zest and fresh parsley brighten up plain-Jane orzo for a great side dish you'll find yourself adding to your repertoire. 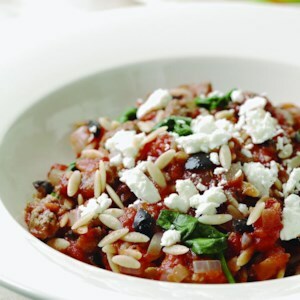 Chopped tomatoes, fresh basil and Parmesan cheese update canned tomato soup.